Successful event planing and conference organizing often requires the expertise of a specialist whose help would be an advantage. Read our free articles on the subject and learn about other resources at your disposal! Read articles, tips and guidance on event planning, strategies, organisation, planning facilities and venue sourcing and a few step-by-step guides to successful event planning. When selecting a venue for a business event, you may look at a venue and decide immediately whether it can host the size of the event you're considering. But some elements of selecting the right venue aren't so obvious. For example, does the venue offer appropriate dining options? Does it meet the needs of your clients? You must think about the attendees you're trying to reach, and determine whether the venue is appropriate for their needs, too; not just your own. When you're planning an event, you have to consider your audience and evaluate their needs in order to select an appropriate venue. It's not just a matter of matching the venue to the event. Even if the venue is ideally suited to the event, but doesn't meet your attendees' needs, you might have to find a new venue. Put yourself in your attendees' shoes. What sort of things are your attendees likely to want to do while at your venue? This is always a consideration, but is particularly noteworthy if you're running an all-day or multi-day event. 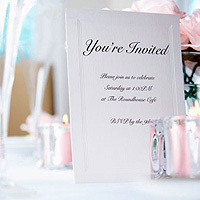 If you're planning an all-day live event, will you provide a meal and refreshments, or send people off-site for lunch? For a residential event, will you host meals on-site? Even on a half-day event, do you intend to provide refreshments? Meals can eat up a substantial portion of your revenue, so consider your meal options when selecting a venue. A typical live event might feature coffee when people arrive, a mid-morning break for refreshments, lunch and a mid-afternoon refreshment break. These refreshment options add up. If you're giving coffee to people three times during an event; morning, mid-morning and mid-afternoon; you'll need substantially more refreshments than by providing one simple refreshment break. Likewise, refreshments may also include things like assorted pastries, fruit and other snacks.